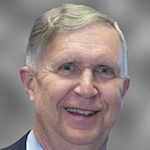 Bob Smith is Executive Director of the Electronic System Design Alliance, a SEMI Strategic Association Partner. He is responsible for the management and operations of the ESD Alliance, an international association of companies providing goods and services throughout the semiconductor design ecosystem. Not that long ago, the chip was the all-important element of an electronic device, so a slew of tools were developed to automate and accelerate the chip design process. The electronic design automation (EDA) market sprang up and it has thrived for more than 30 years by supporting the engineers who manage such projects effectively. 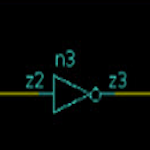 EDA has become a critical market for chip design and verification. It remains so, though times have changed. That ‘all-important’ became the system on chip (SoC), bringing with it growing complexity, smaller geometries, higher performance and lower power. Mobile devices and their myriad of apps played a role too, placing a strong emphasis on how a chip would fit in a package, and interconnect with other devices and sensors in the system. The dynamics continue to change. Lo and behold, the makeup of an engineering group today resembles that of a system integrator because its members must bring component subsystems – including blocks of IP and embedded software – together into a whole. These groups have a duty to ensure that these subsystems function together and that manufacturing consistently and reliably delivers parts that meet the original design specifications. A system-centric view enables the delivery of smarter, faster, more powerful, and more affordable electronic products. That is a big responsibility and meeting it demands access to a seamlessly integrated tool environment that spans the entire semiconductor product supply chain. The industry is observing and is changing. The design ecosystem is evolving. As that happens, the semiconductor design ecosystem is becoming every more deeply integrated with those that have historically governed other disciplines. EDA remains a foundational element, but other components are also key parts of the solution. These include IP, software, open-source solutions, cloud-based design, and more. The semiconductor industry is evolving as well toward a more holistic system-centric view that addresses the supply chain from design through manufacturing. Two discrete disciplines are now melding together. Connecting two formerly distinct areas of the $2T global electronic product market requires considerable thought, plenty of ingenuity and a lot of orchestration. That’s where global industry associations such as SEMI and the ESD Alliance, a SEMI Strategic Association Partner, come in. They offer and promote a host of activities from industry advocacy –– especially in the realms of global trade policy, industry talent needs, and environment, health and safety (EHS) concerns –– to workforce development, industry standards initiatives and market research. Conferences, trade shows and other industry events are priorities as well. One example is an Executive Session that the ESD Alliance is hosting next week during SEMICON China in Shanghai. ‘AI-enabled Smart Application Opportunities and IC Design Solutions’ will take place on Thursday, March 21. Ajit Manocha, SEMI president and CEO, and Lung Chu, president of SEMI China, will deliver the opening remarks. The Executive Session will be a discussion moderated by Xiaoning Qi, vice president of the Alibaba Group, with panelists from Cadence Design Systems, Dell EMC, Mentor, Synopsys and UNISOC. Industry-wide events like this bring the entire electronic product supply chain closer together by focusing on its commercial achievements and presenting forward-looking, system-centric views. Attendees and exhibitors can then grasp the links across design and manufacturing and throughout the supply chain during conference sessions, in-person conversations, and informal discussions at networking and social events. These exchanges often foster collaborations that address common issues, challenges and opportunities that help take new and better electronic products from concept to consumer. Unlike any other marketing program, events promote the full spectrum of design through manufacturing. Those of us engaged in all links within the electronic product supply chain have good reason to be optimistic about the opportunities on the horizon as a system-centric view takes hold, starting with design. The semiconductor industry is evolving once again. Innovative methodologies, strategies and tool features help overcome other inefficiencies in complex but necessary simulations.